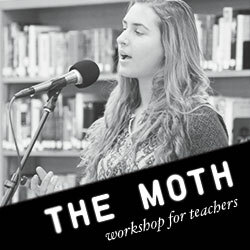 THE MOTH TEACHER STORIES: A professional development opportunity brought to you by Writers in the Schools, a program of Literary Arts. December 15-18 from 4:30-6:30 p.m.
Find your story to tell: The Moth is a national nonprofit organization dedicated to the art and craft of storytelling. In four workshops, you’ll work with Moth master instructors and professional storytellers to learn structures and strategies for telling short-form personal stories onstage. 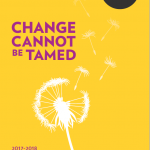 You’ll find stories you’d like to tell from your own life, work with other teachers to craft your stories into narrative performances, and finish the workshop series with a show! Earn six Professional Development Units. The four-day course is $125 and includes two tickets to The Moth Mainstage performance on Monday, December 14 at the Arlene Schnitzer Concert Hall. Registration is on a first-come, first-served basis. This course is limited to 12 participants, so be sure to sign up early.